"YOUR TRUSTED REAL ESTATE COUPLE"
Tom & Sue Demogenes have earned the service industry's coveted Angie's List Super Service Award, reflecting exemplary service provided to members. Only 5% of realtors in SWFL earn the Super Service Award. We have a long list of satisfied clients (many from out of state), who are more than happy to share with you their experience with us. We will gladly provide a list of names and contact info upon request. These people trusted us to guide them through their home buying experience, and we're grateful they chose us for one of the largest purchases in their lives. We're confident you'll be just as pleased as they were. Sue and Tom helped us purchase a home in Cape Coral, FL when we recently moved from CT. Right from the start Sue was proactive in communicating with us and looking for a home to suit our needs. She kept in contact even before we arrived and made sure she understood exactly what we wanted in a new home. Once we arrived she was quick to schedule showings for us and her knowledge of Cape Coral and Fort Myers was instrumental in helping us make the right choice for us. Sue is great to work with. She's honest, easy going and patient which is very comforting when you are new to the area and not sure of all the various things to consider. Once we found the house we wanted the other half of the Demogenes team kicked into gear. Tom is the negotiator for team Demogenes and boy is he a crafty customer. Rather than push for a quick sale to get their commission quickly Tom was determined to get the best price and boy did he for us. He was able to get well under the price we wanted to pay and then helped negotiate a great outcome on some additional issues. Like Sue, Tom is honest and straight forward with what he thinks which provided a good foundation for us to make the best choices for us. We feel so fortunate that through Angieslist we found Tom and Sue and their reviews are right on. They will represent you well, honestly and in your best interest. We will never deal with another realtor, they are our team for as long as they continue to work the industry. Thank you Tom and Sue! I had used Tom before to purchase some land in FL. At that time I was so impressed with both Tom and Sue that I knew I would like to work with them again. Four years later, my husband and I contacted Tom for some advice and some suggestions on property to purchase. Tom & Sue advised us that this is not the right time to list my properties and assisted us in other options that were best for this market and time. Tom and Sue were great and helped us decide the correct path to reach our future goals. Several years ago while freezing in Montana, we searched for properties in Cape Coral, FL and found Tom and Sue's website. They were able to answer our questions about home ownership in the Cape. We stayed in touch while waiting for our home to sell. As soon as we arrived in Cape Coral, Tom and Sue met with us to get a better idea of what we were looking for. They took a personal interest in our long wish list. We thought we'd never be able to find anything that would match even some of what we were looking for in our price range (up to $800,000). Not only did they find us a home that had every little wish and want, they helped us negotiate a fair price that kept us within our spending guidelines. They always took the time to answer any questions we had, made the buying process seamless, and made us feel we were working with friends and NOT someone who was only interested in making a commission. We cannot say enough good things about the dedication, commitment to the client, and their ability to work magic : ) We are so impressed with the Tom and Sue Team!! We tell everyone how amazing they are. We wish our agent in Montana had been so dedicated and hardworking. Choose Tom and Sue. They are the best!! I have worked with a fair amount of real estate agents over the years but never anyone as good as Tom Demogenes and his team. They are true professionals with a knowledge of the local market that is far superior to anyone in the area. Tom, Sue, Kim and the rest of his team gave me advice on what I needed to do with my home to sell it and was right about everything they said. They did not always tell me what I wanted to hear, but they told me the truth and were honest every step of the way. I highly recommend Tom and would work with him again. Tom and Sue make a very efficient and effective team. They work very well with our personalities given we wanted "straight and honest answers" . Collectively, we established a very detailed and comprehensive action plan to list my home and they are executing the plan as agreed. Some of their suggestions are bold, but they know the high end Cape Coral water front market well and we trust their judgement.. In strong markets, it's relatively easy to move houses. When you have a niche house in a slow market, that's when expertise counts.. I am very happy with our decision to use Tom and Sue. From start to finish, the services provided by Sue and Tom Demogenes were truly outstanding. From the initial home finding assistance through our closing, all service was highly professional and responsive. Their knowledge of and guidance regarding the SW Florida real estate market was spot on. Sue worked hard for us to be sure we considered all areas that met our housing requirements. Tom's monthly market updates are extremely beneficial and timely. Definitely recommend the Demogenes team if you are relocating to SW Florida. Tom and Sue were my agents for selling my condo in the Fort Myers area. Tom and Sue were great to work with. I thought they proposed a sensible asking price for my condo, and they put together a very attractive listing. They kept me updated about upcoming and completed showings. When an offer was made, I felt that Tom negotiated assertively and judiciously on my behalf. Tom and Sue communicate very clearly. I felt that they read and understood my e-mails, and really listened to me when we talked. When the buyer's agent added some wrinkles to the transaction, Tom and Sue kept things on course. I recommend these two excellent agents for their presentation and negotiating skills, knowledge of the market and experience, their pleasant manner and common sense. We interviewed Tom & Sue Demogenes as possible agents to sell our Cape Coral waterfront home. While we decided to postpone our listing, we were impressed with their knowledge and professionalism. When we move forward with our listing, we will be sure to contact them again. Tom & Sue were prompt, knowledgeable and honest in their assessment of both our house and the market situation. While we interviewed other agents, we were especially impressed with both Tom & Sue. Wow, what can I say about the service provided by Tom and Sue. I contacted them prior to a move to the Fort Myers area and boy have they ever performed. My request was to provide real estate information for the Fort Myers area as I am contemplating retiring but my home is listed for sale and not yet sold. Sue has been truly outstanding in providing information timely and thoroughly. I have relocated many times and have administered relocation programs for major corporations and have never experienced the outstanding service that I have experienced with Sue and Tom. I highly recommend them. Tom and Sue are quite the team. Sue is wonderful to look at homes with and Tom handles the negotiations. They are both superb at what each one does. Sue took me to properties within my list of "wants" and was helpful, thoughtful and a very sweet person too!. Tom took care of dealing with a rather fractious situation and handled all negotiations with aplomb. They are A one! Tom and Sue were EXCELLENT in explaining what I should be doing in order to relocate to the Southwest part of Florida. and provided me with excellent listings. They took the time to explain the different areas, provided me with listings that met my criteria, and made what can be a stressful time into a nice and easy experience. Tom and Sue took the time with me, were very professional and courteous, and are very knowledgeable in their field. If you're looking for someone to just sell you a house, there are thousands of agents in SW Florida. Take your pick. If you're looking for guidance, honesty and folks that have YOUR best interest at heart Tom & Sue Demogenes are the ones for you. My husband and I are from Maryland and were looking for that retirement home in paradise. We had a long list of "wants" in our new home and knew it would be difficult to find within our price range. 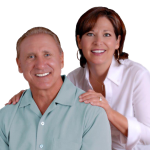 Tom and Sue's web site is what first got our attention when we began looking in the Cape Coral area. Their web site was so much more informative than others - here we found tax information, homesteading, home values, search engines, etc. After reaching out to them through their web site, it was only a matter of hours before they made contact. We are the type of people that like to do a lot of the searching on our own - they provided us the ability to review homes on the market using their search engine. No pressure from them --- but alot of guidance on homes that would best match the criteria we provided to them. They educated us well during this searching period and we felt that we knew enough about the area and home values to make a decision. After about 8 weeks of working with Tom and Sue via the Internet on an almost daily basis we flew to Florida to do some serious house hunting. We came with a list of homes that we thought looked great on the Internet. Tom and Sue created a list of their own that they felt we would be interested in. Needless to say --- their list was more on target than our own! We were really surprised at how on target they were, however one of the things they warned us about before we got here was that the photos on line make the houses look alot better than they do in person! Right Again!!!! To make a long story short, we ended up buying a home within 7 days of our arrival. We are beyond happy with our home and our total experience with Tom & Sue. Once you have made your decision you will also get the benefit of their contact list. They know decorators, contractors, landscapers etc and will set you up with anything you need. They will not drop you off at the settlement table never to hear from them again. After choosing our house, choosing Tom & Sue Demogenes was the best decision we made! In working with them you will find that they truly are the best of the best! Thanks for all that you do to keep us ahead of the curve on what is happening in the Cape Coral area! Your support both in Cape Coral as well as in our local area (GA) has been invaluable. When reaching out to you for your advice on who to work with in GA the lead that you provided was outstanding. The realtor that you recommended lived right in our neighborhood and we did not know them! She was perfect and our home sold in less than a week. We look forward to continuing to work with you and Sue in any and all real estate transactions that we are involved in. Your support over the past 20+ years has been a blessing. Tom and Sue Demogenes were recommended by friends who were their neighbors at the time. We knew them for several years and when it came time to sell our canal front home, we hired them. They made several recomendations to improve the property, which brought us top dollar and a quick sale. They both have a good eye for what stages the inside and outside of the property. We hope we never have to move again, but if we do, we wouldn't hesitate to use them again. Tom and Sue helped us during the purchase of our house. Not in usual sense, but even better. Tom took time to explain the market and areas to consider. Showed us great potential homes for sale. An unrelated, random event brought us to a house that we bought directly from a seller. In spite of this, Sue offered support with names of title companies, inspection firms and insurance agents. They were kind and professional, even though they did not get a commission. We will definitely use Tom and Sue to sell our house when the time comes and will suggest them to anyone needing realtors. They are simply the best. Tom and Sue Demogenes were absolutely WONDERFUL. We feel fortunate to have had them to help us tip toe into finding a home in Florida. We told them before made the trip from Arkansas to Florida that we were just scouting the areas but were planning to focus on the Cape Coral area this trip. They knew that we were probably not going to make an offer this trip and they knew we might not even purchase in their area. However, they treated us, and continue to treat us like family. They are VERY professional and are very HANDS ON with every question or concern we have had. They work great together as a team as each have expertise in different areas for their clients. They got to know us through email and phone communication and by the time we met them, they had us pegged pretty well as to the type of properties we like. They actually took us to our "dream home" for the #1 viewing and we're now under contract on this $1.6 M Harbour Preserve home in Cape Harbour. I would recommend them HIGHLY to anyone looking in Lee County! They are great people. Again, Thank You for all your help and expertise in selling my waterfront condo. Your advice about improvements I should make so my condo would show better worked! My condo sold very quickly and for a price I was quite happy with. I will definitely recommend you to anyone who is looking to buy or selling their home. Tom and Sue guided us through the process of locating and purchasing a home in Cape Coral, Florida. With the southwest Florida real estate market starting to turn around we decided to modify our retirement plan and find a 2nd home to live in half the year now while we could afford a nice property. We had been researching houses on our own for a couple months and saw many we liked come off the market very quickly so knew we needed professional help. Although our criteria did not meet the type of property they usually broker, we contacted Sue & Tom after reading reviews on Angie's List. After hearing our plans they agreed to meet us in person and on our first trip to FL made time for an office meeting, lined up houses for us to drive by on our own and then coordinated appointments for us to tour selected houses. At that time we were still arranging funds, but they were very accommodating and continued to keep us informed with daily property listing updates, feedback on properties we chose and very helpful newsletters, web links and other resources. We made a second trip about a month later and again they made themselves available, lined up more properties and ultimately helped us negotiate a fantastic deal on a property that is exactly what we wanted, and within our budget. Sue has a terrific eye for detail while visiting homes and noticed many items we would've missed, as well as ideas for space usage and modifications. Both she and Tom are extremely knowledgeable of southwest Florida real estate issues (sun exposure, under-truss lanais, resale value) and we are so grateful for their guidance as we wouldn't have known these things on our own. Much to our delight Tom even negotiated to have several minor issues repaired by the seller despite our buying the house in "as is" condition. We continue to benefit from their expertise now as we line up service providers to prepare the home for moving in, including a property watch service, lawn and pool care and others. They even gave us terrific recommendations for restaurants during our quick trips! We had a wonderful experience thanks to Sue & Tom's great skill with the southwest Florida real estate market, and we are extremely comfortable in recommending them to folks looking at real estate in Cape Coral. Tom and Sue sold us our home in February 2012. Their extensive market and home building expertise gave us a great deal of confidence with this purchase. Tom and Sue spent a great deal of listening and sharing during the initial stages of the process. By the time we were at the stage of seeing available homes, each home met the key specifications in our wish list. Their role did not end with the purchase; Tom and Sue recommended quality service providers who they personally vetted through their years in the business. We love that we can still call Tom and Sue with any questions. My husband and I are new to the area and we had limited time for a home search. We really appreciated that Tom and Sue listened to us when we started the home buying process. There were no surprises along the way and both were very attentive to the smallest details. Their extensive experience with the real estate market, remodeling projects and the local community resulted in a smooth transition. Tom and Sue reviewed each home thoroughly before we went through them for two reasons; to make sure the home fit our needs and to ensure the quality of the home met their standards. That resulted in a valued discussion between us so that the decision making was based on significant facts and data. In addition, Tom was effective in getting us a competitive price. We moved into our home in March of 2012 and love it. 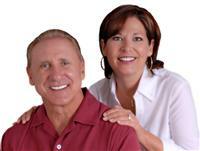 Sue & Tom Demogenes - Re/max - were our Realtors in buying a new home in Cape Coral, FL. They were and are simply the best!!! In purchasing our retirement condo, we attempted to make contact with the direct Realtor. After several months of unsuccessful attempts we contacted Tom & Sue. They were very prompt & answered all of our questions (even if research was needed). They weren't pushy and were very professional! We would highly recommend!! Tom and Sue were referred to us by our neighbors. They are very professional and knowledgable about real estate. They gave us many ideas on updating our house and what needed to be done to help get it sold. I would recommend Tom and Sue to anyone who is thinking about selling a house. I purchased a price of land in Cape Coral, Florida and Tom, was the listing agent. Tom, was professional, courteous and had a great knowledge of the market. We have stayed in touch and will use him to list my house when I build my new one. Now that the stress AND the excitement of buying into Cape Royal is behind us, I/we wanted to take a moment to express our SINCEREST thanks and gratitude for all that you have done for us. Your patience, your professionalism, your honesty, your sincerity is not lost, nor wasted on us. I/we may not have expressed ourselves very well over the past couple of years, and we may have frustrated you, but we came back to you, and you alone, because of our deep respect and admiration of the two of you. PLEASE, PLEASE accept our deepest gratitude. SERIOUSLY. We really appreciate it. Thank you so much for your guidance and assistance in finding our home in Cape Coral. Your guidance starting with an introduction to the area all the way through to the rental of the property a few short days after the close made it all possible. Your assistance as well as that of the mortgage broker you recommended were instrumental in helping us close on our new home in time to meet my travel schedule and take advantage of the rental income already in place. Your indication that if we need any help beyond the closing date assures us that we have someone knowledgeable about the area there for us. Shouldn’t home buying be a pleasurable and exciting experience? Too often we end up wasting time looking at properties that are not close to what we want or not within our budget. This can change an exciting lifetime experience into a frustrating and unrewarding disaster. What you need is a simple recipe for a pleasurable and successful experience and that recipe is Tom & Sue Demogenes. Simply take one part knowledge of the area, market and current trends from Tom and add to that a strong helping of time spent up front assisting you in defining your goals. Include a large amount of on-line expertise from Sue which gives you the opportunity to view many properties while deleting several, but at the same time saving those few that truly meet your criteria. Next add a bit of constructive criticism and helpful suggestions regarding your favorites which help to narrow the field of homes that really match your goals. Now with the field narrowed the cooking or viewing time is compressed since you are truly looking at houses that could one day be your home. Once a selection is made you must turn the dish over to Tom for garnishing or negotiation. This is where the value of his knowledge of the area and market come into the mix as Tom then uses his experience and tenacity to arrive what will be considered a very favorable closing. This is not the end of the recipe by any means as we now must add the finishing touches. The suggestions for touch ups, help finding professional and economical contractors and assistance with items like utilities and other normal needs that may not be obvious to you, is the icing on the cake. On a more serious note our experience with Tom & Sue was both pleasurable and economical. With their assistance, we were able to view many potential homes that fit or were close to matching our criteria. Their knowledge of the Cape Coral area was crucial in helping us refine our search and narrow the results to 4 or 5 homes before our arrival from out of town. When we were finally ready to view our favorites the search was pleasantly simple as our choices had been culled and our goals established. In a matter of hours we found our home. Tom then performed his magic by negotiating what we believe was a favorable price. We walked through our home several times with Tom and Sue listening to their suggestions for improvements that would modernize our home with current area touches. When contractors were needed to assist with the improvements they helped us find reliable contractors at reasonable prices. Therefore if you are looking for your home in the Cape Coral area and want a pleasurable and rewarding experience the recipe is Tom & Sue Demogenes. My wife Kim and I had listed our house with another realtor. We were also looking for houses or Gulf access lots in the meantime. I called on a lot that Tom Demogenes had listed and felt real comfortable dealing with him right away. Kim and I became unhappy with the agent listing our house so we invited Tom and Sue Demogenes to our house to see if they would be interested in listing our home. We came to a mutual agreement and decided to sign a listing contract with them. After touring our home, Tom and Sue helped us with staging. They suggested that we paint all the rooms, and even recommended a neutral color to use. They also told us about decluttering and depersonalizing the house and gave advice on the landscaping. We did just about everything they recommended and in the first week with Tom and Sue we had as many showings as we'd had the whole time with the previous realtor. We were very happy and the showings continued. After every showing, Sue would provide us feedback. The feedback was always greatly appreciated. We ultimately had a showing which resulted in an offer. Tom did a great job negotiating on our behalf and we sold the house. We were so pleased with Tom and Sue's representation, we asked them to represent us in buying a new home. We found a new home and once again appreciated having Tom on our side to hammer out the best deal for us. During the process of obtaining the mortgage, several problems arose but Tom was quick to get them taken care of, settlement went smoothly and we own a new home that we love. We now consider Tom and Sue Demogenes friends of ours. We would recommend them for their professionalism, knowledge, their attention to detail and their personal touch towards their clients. We have recommended Tom and Sue to close friends who will be selling their homes, and both couples are going to sign with Tom and Sue. Tom and Sue, thank you for all of you help, understanding and friendship during a very stressful time in our lives. You were both great and we'll always recommend you to anyone looking to buy or sell in Cape Coral. When our family made the decision to sell our home and purchase another in Cape Coral, we were extremely lucky to have found Tom and Sue! We had interviewed several realtors but when we met Tom and Sue we instinctively knew they were the perfect team to guide us through our real estate experience. There is no question that the Demogenes know the Cape Coral real estate market. Their years of experience and in depth understanding of the current market were instantly obvious. Their recommendations for ways to spruce up our home before listing it for sale were spot on and consequently we sold the home in a few days for over our asking price! While we never doubted that Tom and Sue were extremely knowledgeable and professional, it was the kind, caring and patient way in which they walked us through this home selling/buying experience that won us over. While we sold our home in record time, finding another that had all of our "must haves" and was still within our budget was a monumental feat! Tom and Sue patiently showed us many homes before we found the "the one". They guided us through the whole process with grace, style and plenty of encouragement. We are now happily settling in to our new home and our whole family is very pleased. We would highly recommend the amazing team of Tom and Sue to anyone and would use them again in a heartbeat! As a first time home buyer in a foreign country, one of my concerns was not knowing a good location to buy and what was the best buy for its value. Tom and Sue were very professional, friendly and earned my confidence and trust. It was nice to have both of their thoughts which helped me come to a better understanding of this new adventure. We are really happy with our properties. Tom and Sue coordinated the remodeling/sale of my home at 11935 Prince Charles Court with total proficiency on their part, and minimal stress for me. Together they provided excellent updating suggestions for my home which resulted in a much quicker and higher sales price. Their reasonable and reliable contractors did a great, professional job to my complete satisfaction. Sue promptly kept me informed about showings of my home and feedback from fellow realtors. Tom's experience at negotiating was evident once we had an interested buyer. He was able to secure a very favorable price, which went $25,000 higher when Tom suggested that I carry a five year mortgage with a significant down payment. I'm most pleased with their service and would highly recommend them to anyone selling or buying in Cape Royal. Feel free to call me at 508-982-7708 for any additional input from me on this outstanding realty team. It is obvious how much you care about your clients. The two of you were very helpful throughout my transaction and it was my pleasure to have you as my agent. I'm still in the process of purchasing another home with you and I'm sure with your help it will go just as smoothly as my first purchase. Thank you again! Now that the furniture has been delivered and the boxes are unpacked, we wanted to take this opportunity to thank you for all of your efforts on our behalf in the purchase of our home here in Cape Royal, Cape Coral. expectations on every level. That, coupled with the constant communication you provided, gave us something hard to achieve in a long-distance move, and that is peace of mind! Again, our deep appreciation for all the hard work and personal commitment you afforded us throughout our real estate transaction. You are a dynamic team and a credit to your profession and community. We consider it an honor to call you our realtor of choice and it's with great pleasure we now call you friend and neighbor! We were looking for a house for three months and had a hard time finding a realtor who would give us their time. Bill and I went on line and found three homes we liked in Cape Coral. We went to RE/MAX Realty Team on Del Prado. Sue came out with a warm and welcome smile. Sue and Tom are quite a team. With them, you feel like you've known them for a long time - very friendly and caring. Sue took us into the office and we told her our story. had looked for so long and not being able to find a realtor to assist us was stressful. Sue and Tom were excited for us when we found a home, and the kindness in their hearts was real. We went back to the office and signed an offer. Tom was on the phone and within 10 minutes, he got our offer accepted. So thanks to Sue and Tom we bought our new home and we can get on with our lives. We are settled in now and we can't stop smiling. I just want to thank you Sue and Tom for being there for us when we really needed you. Your kindness - you just don't know how much it has really meant to us. I wish there were more agents like you in your business. We want to thank you for your help in smoothing the process of buying our home in Cape Coral. Dave and I appreciated the professional and friendly way you handled the transaction. We both felt confident with your advice and experience. Your recommendations on mortgage broker and then contractor for home renovations was very helpful. You displayed integrity, intelligence, and expertise. From start to finish, you treated us as though we were family! I was especially impressed with the phone calls after we were in our new home to follow up and make sure that we were getting settled in. I can easily recommend you to anyone who is looking to buy or sell real estate and would use your services again. My home purchase was about to fall apart and would have if I did not have Tom and Sue as my realtors. They are very responsive and worked diligently to ensure my closing did not fall apart. Not only did they help me find the perfect house, but they helped to resolve a lot of issues along the way. They are dedicated to their clients and always give 110%. I would gladly work with them again and definitely recommend them to anyone looking for a home. We want to thank for helping us purchase our home in Cape Coral. From the time we walked into your RE/MAX office, we felt that you were genuinely interested in helping us find the perfect waterfront home. You exhibited the utmost in professionalism, an understanding of the housing market, and wisdom in determining the best time to begin investing in a home in Cape Coral. You dedicated time explaining the Cape Coral market and how to evaluate the advantages and disadvantages of gulf access, fresh-water access, and off-water homes. More importantly, you took the time to understand our situation and what requirements we had in a home and quickly identified a few homes that you thought would best fit our needs in a desirable neighborhood. It was easy to develop a trust in your ability to represent us in a home purchase. Considering we were looking for a home while living in the Philadelphia area, you made the process easy by immediately setting up a link to the MLS website for us so that we can evaluate the homes on the market. You also maintained frequent communications to help us in our search. Of course, you identified a home for us under foreclosure and aggressively negotiated on our behalf so that the price would meet our financial requirements. Although our closing was not very smooth, we recognized that the title company was responsible for the issues we faced and you were quick to intervene on our behalf. We truly appreciate the additional time and effort you have given us even after the closing in providing us recommendations for insurance, contractors, and various businesses that provide great customer service and fair pricing. You have treated us as friends as well as valuable clients. We highly recommend Tom and Sue to anyone interested in real estate in Cape Coral based on your excellent negotiation skills and customer service. I just really want you to know how great it was working with you on my house purchase. It was really nice having someone go out of their way to make sure that everything was taken care of. I live out of town, so it was a relief to have someone in Cape Coral looking out for my interests. Again, I thank you very much for all of your help. When we first met Tom & Sue, we were driving around looking at open houses, basically killing time. We told Tom what we were looking for and he immediately went to work by linking us to his web site and began sending us listings that met our criteria. We were being very picky, but he did not give up on us. Tom proved himself to be an expert in his field, waterfront properties and knows current values and gave us his opinion as a "friend" would. We found our dream home and closed, and he is still working with us to make sure we settle in with no problems. The team of "Tom and Sue" is a real asset to the RE/MAX organization and we would highly recommend them. While visiting the Cape Coral area, Tom commented on my World Championship Phillies cap and we began a conversation about the real estate market. Information was sent to us via email regarding homes we might be interested in. Sue worked with us to understand what we were truly looking for. Through their efforts, we were able to find a property that met our needs, exceeded our wants and dreams and yet was within our financial means. Choosing a Real Estate Agent, especially in an unfamiliar area, can be a daunting task. There is a ton of real estate professionals in the Cape Coral area but Tom and Sue stand out from the crowd. There is a wise proverb which says "a cord of three strands is not quickly broken." I believe that the Demogenes team and you, the buyer are "a cord of three." Their individual strengths and you make a team that can remain strong through the real estate buying process. Our buying experience was a pleasure from the initial meeting through closing. They were with us each step of the way. You can trust Tom and Sue and I would highly recommend them. I want to thank you for all your help with the purchase of our condo in Fort Myers. From the first time I spoke with you, your professionalism came through. You guided me through the process of searching through the many choices from 1,000 miles away. What I thought was going to be an impossible mission turned into a rather enjoyable adventure. When we arrived in Florida, you and Sue made yourselves available in person and with the wealth of knowledge you have regarding the market and area. After finding the perfect place you negotiated with your expertise, the best possible deal for us. The closing was totally coordinated and went off without a hitch, easier than I could have ever imagined. You both made the whole experience a pleasant and exciting time for us. I would highly recommend both Tom and Sue for any real estate transactions, they are not only knowledgeable and efficient, but both really nice people who are a pleasure to work with. Thanks again Tom and Sue, see you in Florida! I would highly recommend Tom and Sue Demogenes as your realtors. Tom and Sue were wonderful to work with and made the transition from visitor to owner in Cape Coral, FL very smooth. Tom and Sue have vibrant personalities and pay very close attention to detail. They made us feel welcome to the community and we look forward to spending many years in Cape Coral. Being computer savvy, we started searching the various websites but were overwhelmed by the multitude of available homes. We needed a professional to sort out the wheat from the chaff. What a difference an agent makes. Unlike several previous realtors we contacted, the response from the Demogenes was immediate, and we got "Two for One," Susan and Tom. After we explained our needs, our likes and dislikes, they presented us with a list of homes for us to check out. What impressed us most about Susan and Tom was that they were able to lead us to the right home most suitable for us, not necessarily what our idea was. They pointed out things that were better for us in the long run and would increase our quality of life. They also made invaluable suggestions in the negotiating and financing process, tactics we never thought of. We both are immigrants living in the sunset of our lives. Susan and Tom have made our "American Dream", owning a home, become reality. They are rare exceptions to the average. They stand out for their knowledge, honesty, courtesy and dedication to their clients.